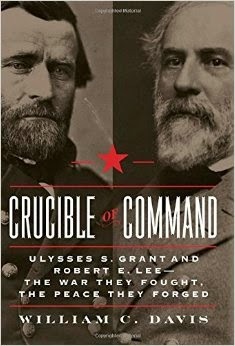 Few names from the era loom as large as those of the top generals from North and South each: Ulysses S. Grant and Robert E. Lee. In story and fable, both men have been elevated to the place of myth. Author William C. Davis (Three Roads to the Alamo, The Pirates Lafitte) combs through the four historical meetings the two men actually had in an effort to uncover details that might have impacted where they both ended up. Once activated, though, both men had a huge part in shaping the post-war nation.